It has been more than 3 months since I have gotten myself a Desire HD. Usually I would be excited with the new phone, and would blog about it like I did with my Galaxy Tab and Galaxy S. Somehow, with Desire HD, I have been dragging my feet (or rather my fingers) to blog about my thoughts of the HTC latest flagship Android gadget. It was mostly disappointments that piled up one after another, and I tell you why. When I first had my hands on the Desire HD, I actually thought I fell in love with it. The overall quality is just what you would have expected from HTC; The use of good quality material (over some cheap plastic material assembly), the polished user interface including the initial set up process. The phone feels heavy but it makes you think of the good solid material instead of the negative aspect of the weight. The tactile feedback on the screen gives a “tight, controlled mechanical” response you would expect from a high quality haptic technology based components. The initial take of the phone then was this should be what HTC Desire was 6 months ago. But it turned out to be more than 6 months gap. Like all romances, love at first sight is never definitive, and with Desire HD it is a good classic example of that. The quality one can expect from HTC is not just about the positive ones. There were still alignment issues with the housing and casing covers, and the stability of the HTC applications that were bundled with the phone remained questionable, just to name a few. Before this blog entry degenerates into rants, let me just highlight three key areas that had subdued my enthusiasm about this phone. With all the fantastic technical specifications that Desire HD is carrying, the phone fails miserably in the screen display and camera department (of course in my humble opinion). If Samsung Galaxy S had changed my perception about what a mobile phone can do as far as video recording and playback are concerned, Desire HD proved why the former is the best selling Android phone in the marketplace today. That is despite all the great things you can find about the phone itself. At a first glance, Desire HD screen display looked fabulous. The Super LCD screen appeared to have match the bar set by Samsung’s Super AMOLED screen. But when I placed my Desire HD and Galaxy S side by side, my jaws dropped and I was almost screaming, “What is so super about the SLCD!?”. From the video below, the display on Desire HD is simply washed out. The display colors looked faded and flat, whereas in the Samsung devices they looked vibrant. Looked at the contrast and brightness! The conclusion I got? I would never want to watch any movie on my Desire HD, if I happen to spot somebody around me carrying a Samsung Galaxy S.
Moving on to the video recording capability. Despite the specification of being able to take 720p video, Desire HD was never able to match the video recording capability I had experienced in Galaxy S. The ghostly motion effect is still there, especially if the video is taken in an indoor setup (flash is a moot point because I could record a smooth video indoor with Galaxy S). If that was not bad enough, there was a severe bug in Desire HD, that resulted in video recorded with random stuttering effect. So when you are trying to take a HD video, this bug becomes a big joke. Incidentally this bug occurred only when I set the video camera mode to 720p. Essentially, the phone had problem recording at 30 frames per second in high definition. There are “dirty” workarounds, but I was never happy with this video recording function since day one. a sample of video recording using Desire HD. Notice the freeze in 0:16 frame. Then comes the software aspect of the phone. I remembered when I first got HTC HD2 more than a year ago, I had to endure the buggy SMS application for more than 2 months. If text messaging is an essential mobile function for you, that bug effectively rendered the phone unusable. Despite the bad experience, I remained hopeful when Desire HD was first launched in the market. HTC development team must have learnt a big lesson out from that saga and delivered a better quality product this time round. How wrong was I again! One of the selling point of Desire HD is that it is “smarter” than before with its Htcsense.com. The latter is essentially a service based feature which enables the phone owner to locate and control the phone remotely. Theoretically one can locate the phone with the help of GPS, or initiate a ringing on the phone so you can locate its presence acoustically. One can even initiate remotely, to redirect phone calls and text messages, or wipe out data in case of emergency. Sounds great isn’t it? And of course I said that is in theory, because until last month, I could do nothing of these, even though these were advertised features. The HTC support acknowledged that the performance stricken services (or applications) in htcsense.com were buggy and the development team was working on it. Being an IT-trained professional, I can understand how software can never be perfectly free of bug. However, the line should be clear between a software in alpha stage versus one that is go-to-market ready. HTCsense.com was clearly at a former stage, so it baffled me why the product was being launched in the first place. Perhaps it should not come as a surprise given the pressure to launch in the market, but it looked like somebody in HTC had done his maths. That the market share gain (through early product launch) will take care of the market share loss (due to the product quality problem). On the otherhand, the HTCsense.com could also be more smarter than it is. As of now the services become useless when the phone battery get depleted. Imagine you discover that you have left your phone at home when you reach the office. You want to remotely redirect your phone calls and/or text messages, only to find out that your phone is “uncontactable” because it runs out of battery. But I digress. 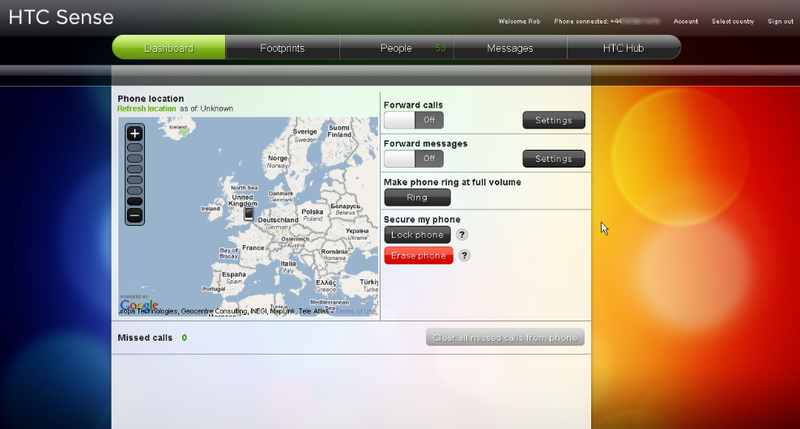 In all my correspondences with HTC support, it was clear to me that they could not commit a time to fix the problems. I gave up, and was looking to sell away the phone, or to do something about the phone myself. With xda-developers.com, I could save a hell lot of my time from building my own ROM or optimizing my kernel which I did for my previous phones. I found Leedroid custom ROM and kernel, flashed it, and the phone finally became what it should really be in the first place. However, there are things that do not change, such as the hardware limiting issues (i.e. screen display). In other cases, such as the overall product and customer experience with HTC, it is almost like a carbon copy of the previous one when I had HD2. It is a déjà vu again. I have been asked a number of times which phone is better, Samsung Galaxy S, or HTC Desire, both of which I had done some review on in the previous blog posts. At the end of the day, the choice is very personal, there’s no good or bad device, it’s more like if its right choice for you, based on your requirements. For me, Samsung triumphs in the hardware department (except for maybe the lack of camera flash), whereas Desire wins hand down in the software aspect. For me, you can address software gap with workaround (sometimes better, sometimes not as good, but its a good workaround), but you can’t say the same for hardware. For e.g. I was blown away by Samsung camera capability, whereas HTC Sense mesmerized me without a shadow of doubt. I can emulate HTC sense in Samsung Galaxy S via Launcherpro (much better than Sense imho!) and widgets like fancy widget (not as functionally complete but its a good bridge), but I can’t emulate the video taking capability *anywhere near* Samsung Galaxy S in HTC Desire. I have always have the desire to learn about (mobile) life beyond Windows Mobile, after having owned numerous Windows Mobile devices for the past 5 years. Then came iPhone, in 2008. But despite its edge cutting user experience and its hundreds of thousands of (useless) applications, it didn’t wow me over. I admit I’m not a big fan of Apple, but that has nothing to do with me not joining the fruity camp. I think it’s a great mobile product to start with, and had redefined the usability of mobile devices. It forces telco to sell data plan as a mainstream service. There’s many good things about the consumer focused phone, but just not enough to replace the likes of my trusty Xperia, Touch HD and subsequently HD2 as a productivity phone. Then few months ago, I had a taste of Android on my Touch HD, albeit booted from Windows Mobile using haret (just think of it as a PC that can dual boot between Windows and Linux). I thought Android was an unpolished product then, with a great potential to woo over die hard Windows Mobile users. In the past 6 months, many Android based phones had launched, but they were either too small for my fat fingers, or did not look appealing to me. Most importantly, until Android 2.1 (or Eclair) was released, there was no good way to integrate Android with Exchange Server backend. Last month, a couple of new Android Eclair phones were launched, and one of them caught my attention. The phone “Desire” is so aptly named. Sporting a screen of 3.7″ size, running HTC sense and most importantly has support for Exchange Server integration, it looks like a good phone to replace my HD2, which had been on steriod for the past few months. 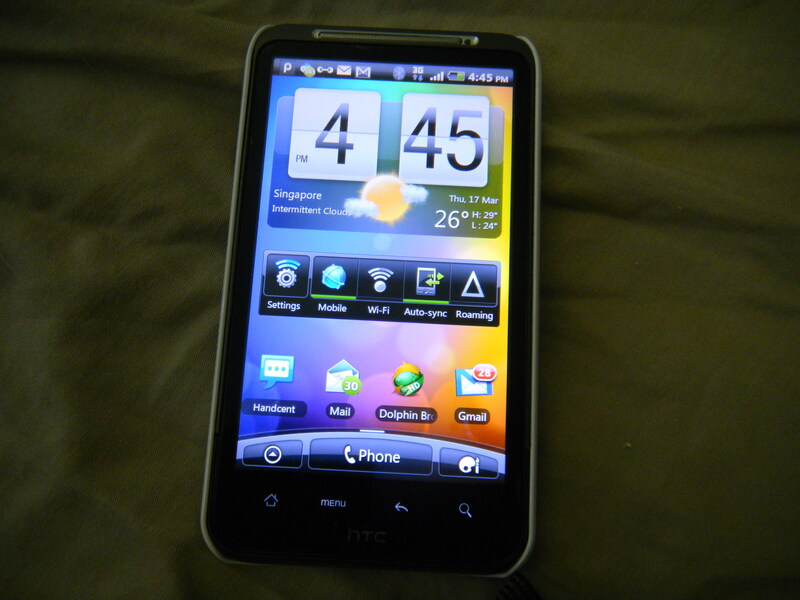 So when Yeez decides to renew her telco contract, I shamelessly offer her my professional service to set up her HTC Desire, and in the process, for her to experience the steroid boosted HD2 and for me to test-play her HTC Desire for the next few weeks. But it took me 2 weeks before I could lay my hands on the desirable phone, as the phone was out of stock island-wide since day 1 due to its overwhelming demand and conservative supplies from HTC (as I understood HTC allocated only 100 units to each telco on day one of its release). Fast forward to yesterday, upon first powered up, I was first greeted by the familiar shell interface, HTC Sense, which has been around in other HTC Android and Windows Mobile phones. The Android version of the HTC Sense supports a wide variety of widgets, and I believed it is based on Android App Widgets framework. This is a big contrast to the Windows Mobile version of HTC Sense, which has been developed from ground up, based on Lua scripting language. Ok, it sounds little too techie here, but bottomline, you should be able to customise the Android version of HTC sense with other non HTC-sense widgets easily. In the Windows Mobile camp, you would need skilled developers to custom build additional “home tabs” which will only run on HTC-sense powered Windows Mobile devices. That said, I am alittle annoyed with the fact that I can only have 7 “widget screens”, even though I could work around that “limitation” by choosing different “Scene” (each scene has its own set of home widget screens configured). Installation of third party applications into HTC Desire, like any other Android phones (and iPhone if I’ve to be politically correct), is seamless through Android Market. I installed a few applications, including big installation packages such as NDrive. There are some installed applications such as SMS widget counter, File explorer, Bluetooth transfer app, etc which I deemed basic and should be part of the Android base system. Or maybe I have been spoilt by Windows Mobile for the last few years. On the otherhand, there are good applications such as Tapatalk which I had been hoping for during the Windows Mobile days, and I reckon the lack of “easy to use” UI SDK as the main reason why developers are slow in porting their applications to Windows Mobile. Applications aside, setting up HTC Desire was a breeze, in particular setting up Exchange Server account for my push mail needs. In a few minutes, all my company mails, calendars and contacts were downloaded to the phone. 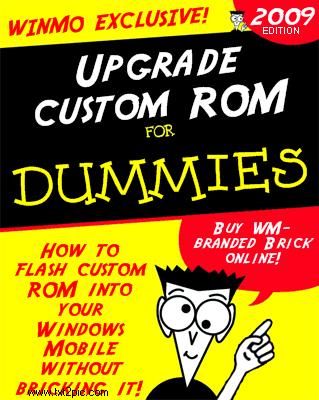 While the PIM features in Desire (or Android phones for that matter) is not as extensive as that in Windows Mobile, it’s more than adequate for one to connect to workplace, e.g. scheduling a meeting with a list of invitees, setting out of office,looking up company’s global address book, etc. And because I had setup my HD2 favorite people previously, the Desire’s favorite widget screen shows the same list of favorite contacts after synchronising with the exchange server. Neat! Now here comes my biggest gripe(s), to date. I always pin-secured my phones, and its no different for HTC desire. The problem with HTC Desire, and possibly for any other Android phones, is that if I choose to have numeric pin, I would still face a full qwerty keyboard to enter the pin when I try to slide unlock the phone. It may sounds like nitpicking, but just imagine you have to tap 8 key codes quickly every time you turn on the phone to make a call or do a quick read of new messages. It didn’t help that Android phones (or at least for HTC Desire) seem to have only one single power management mode; regardless of whether the phone is on external power source or battery, or whether the phone is idle or running some active services. Apart from these gripes, there are other small nags such as occasional screen lags, inability to have full access to application configurations (probably require rooting). Still, I think it has been a refreshing experience, and is the smart phone that is capable of replacing my HD2. This is even more so with the next version of Android, Froyo, rumoured to be available for HTC Desire in a couple of weeks time, and reportedly to be 5 times as fast as Eclair. Of course, since its made by HTC, one can easily head over to xda-developers to satisfy ones desire for the dark side. HTC has, since manila 2.5, designed and developed a completely new text messaging application (HTC Messaging App) to replace the old Windows messaging application for the entire SMS/text messaging functionality. Some of you may not be affected by the poor performance of HTC messaging app. But for me, it’s so poor that despite trimming my text messages to just 200, every operation (open message, compose a message, etc) takes a few seconds at least, and it is just not usable for me. It looks to me as if HTC has designed, developed and tested with just a handful messages in mind. So I did some investigation, and found out a way to disable HTC messaging app, and revert back to the original Windows messaging application, i.e. pocket outlook, for text messaging. 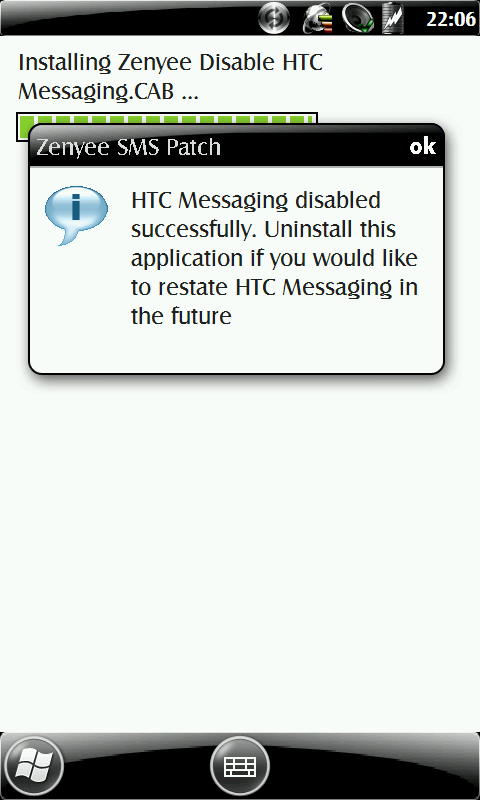 Technically speaking, it’s a combination of registry tweak and a small patch utility I wrote to overcome a bug/problem as a result of disabling HTC messaging application. Back your favorite people up! Last Sunday, I told myself that I would spent 10 minutes to do something productive. I did, and ended doing more. 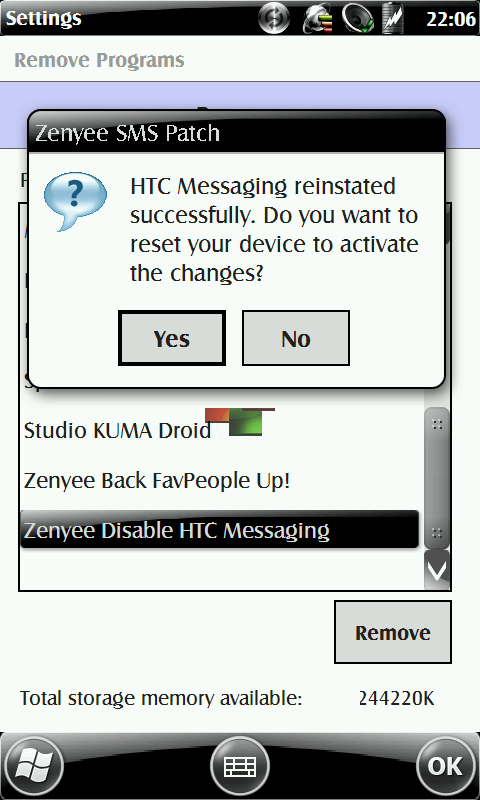 “Back FavPeople Up!” is the latest software I have created for Windows Mobile devices that sport HTC’s touchflo 3d user interface. Basically it is a backup utility tool to manage the favorite contacts found in the touchflo’s “People” tab. The challenge here is not so much about building the application itself (as I have found out building using managed code speed up the development cycle tremendously). It is really the effort to find out how and where HTC embeds its favorite contact information. After scanning through the entire windows registry and hundreds of manila files (HTC’s custom xml files), I figured out that it must be in the PIM database, where all the contacts, appointments, etc are stored.